After months of speculation, OnePlus finally took to the stage earlier today to unveil the OnePlus 6T and announce its brand-new partnership with T-Mobile in the US. The new flagship offers an updated all-screen design, an in-display fingerprint scanner and Qualcomm’s Snapdragon 845. Pricing for the base model with 6GB of RAM and 128GB of internal storage starts at $549 in the US, although this rises to $579 and $629 for the 8GB models with 128GB and 256GB of storage respectively. 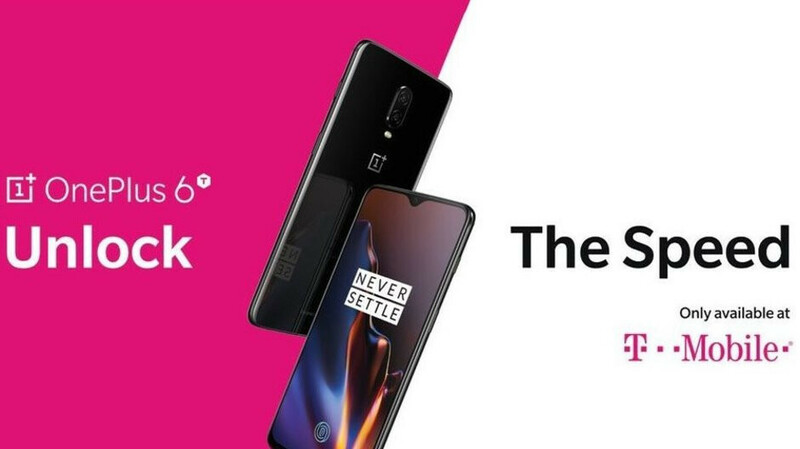 However, as part of a limited-time offer that celebrates the OnePlus 6T’s launch later this week, T-Mobile, which will only be selling the $579 model, is offering its customers a very impressive $300 off when they trade in one of over 30 eligible devices. This essentially means that owners of any OnePlus-branded smartphone can obtain the new 6T for as little as $279 with a qualifying T-Mobile Equipment Instalment Plan. This exact offer also applies to owners of an iPhone 6, 6s, 7, or 8 series device, as well as those of you who still rock an original Pixel or Pixel 2 smartphone, or perhaps even the Nexus 6. Completing the eligibility list are any Samsung flagships launched between the Galaxy S6 and Galaxy Note 8, Motorola’s Moto Z2 line, and the LG G6, G7 ThinQ, V20, V30, and V30+. At the moment, it’s unclear how long this trade-in offer will last. But it’s worth noting that sales of the OnePlus 6T are expected to start this Thursday, November 1. So those of you who may be interested in the offer may want to be quick just in case. Possibly my first OnePlus phone! Excited for you, I hope you'll like it. Let us know what you think when you get it. How about without any service? Better sell your old phone and get the 6T from OP unlocked. Nice, I have two v20. I will get two of these. This will definitely be my first One Plus device! That's really exciting! Let us know what you think when you get it. Very surprising that the 6p isn't included when the older 6 is... And with a 6 sitting in mint condition in a drawer, this is tempting. Wow....in some cases that's a super deal. Nexus 6 sells for way less than $200, and the iPhone 6 goes for nearly $100. And the first 3 OnePlus phones are way less than $300 online. 3 words: this will sell!